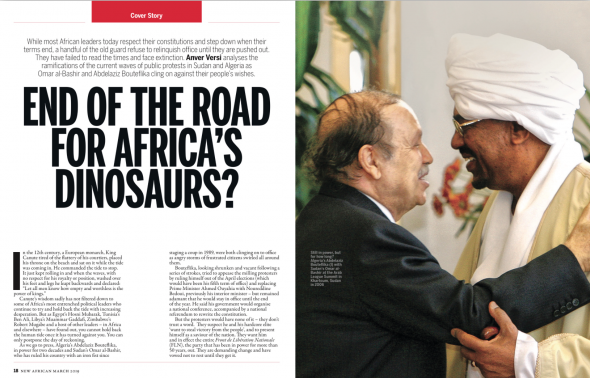 0 After Bouteflika: Is this the end of the road for Africa’s dinosaurs? 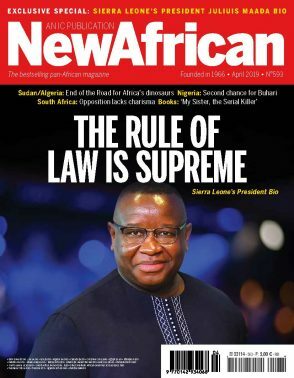 While most African leaders today respect their constitutions and step down when their terms end, a handful of the old guard refuse to relinquish office until they are pushed out. They have failed to read the times as they face extinction. Anver Versi analyzes the ramifications of the current waves of public protests in Sudan and Algeria. While Abdelaziz Bouteflika is forced President Omar Al Bashir is still clinging on against his people’s wishes. What next? 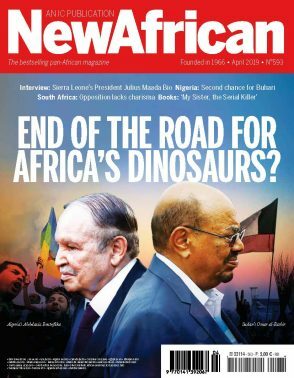 As we predicted in our April edition (which went to press before Algeria’s President Abdelaziz Bouteflika announced his resignation), one of Africa’s most entrenched old guard leaders was forced out of office by sustained public pressure. Canute’s wisdom sadly has not filtered down to some of Africa’s most entrenched political leaders who continue to try and hold back the tide with increasing desperation. 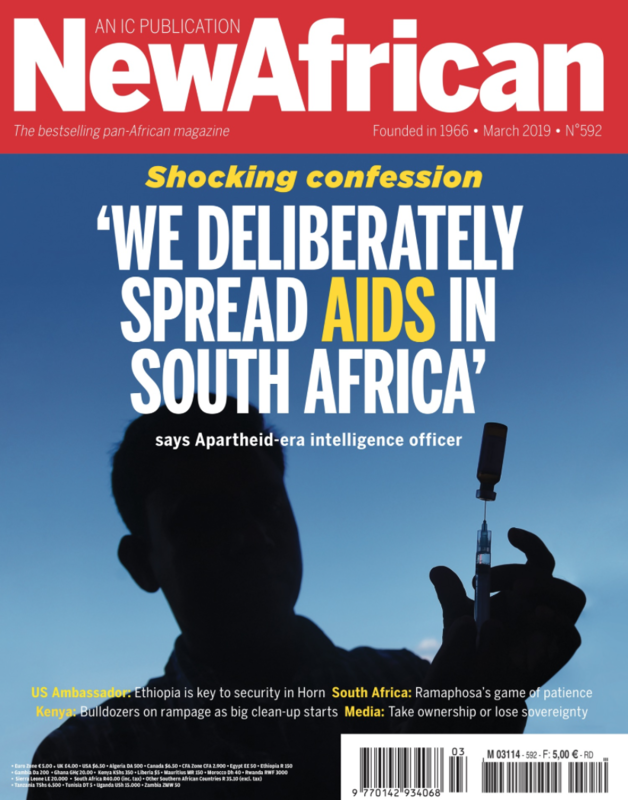 But as Egypt’s Hosni Mubarak, Tunisia’s Ben Ali, Libya’s Muammar Ghaddafi, Zimbabwe’s Robert Mugabe and a host of other leaders – in Africa and elsewhere – have found out, you cannot hold back the human tide once it has turned against you. You can only postpone the day of reckoning. 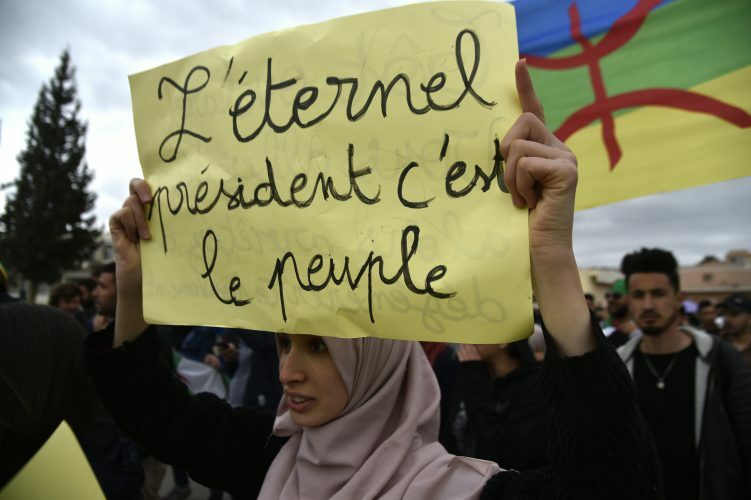 Algeria’s Abdelaziz Bouteflika, in power for two decades and Sudan’s Omar Al-Bashir who has ruled his country with an iron fist since staging a coup in 1989, were both clinging on to office as angry storms of frustrated citizens swirled all around them. But the protestors would have none of it – they don’t trust a word. They suspect he and his hard-core elite ‘want to steal victory from the people’ and present himself as a saviour of the nation. They want him and in effect the entire Front de Libération Nationale (FLN), the party that has been in power for more than 50 years, out. They are demanding change and have vowed not to rest until they get it. 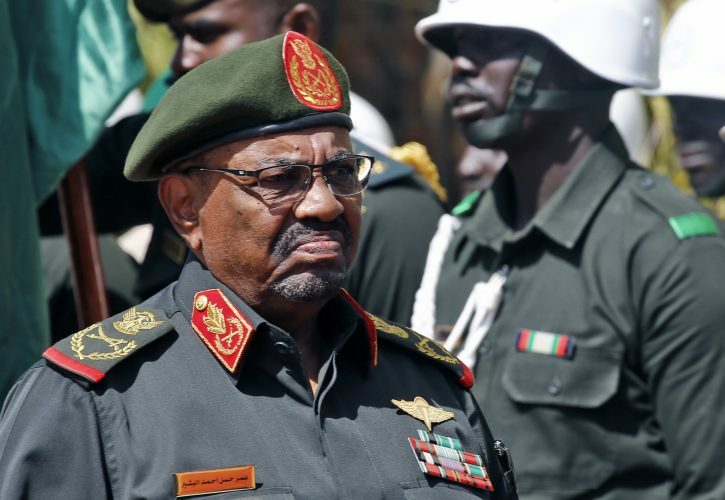 The septuagenarian Omar Ai-Bashir is also attempting to hold back the tide of protests that began in December and are growing in scale and vehemence by the day. 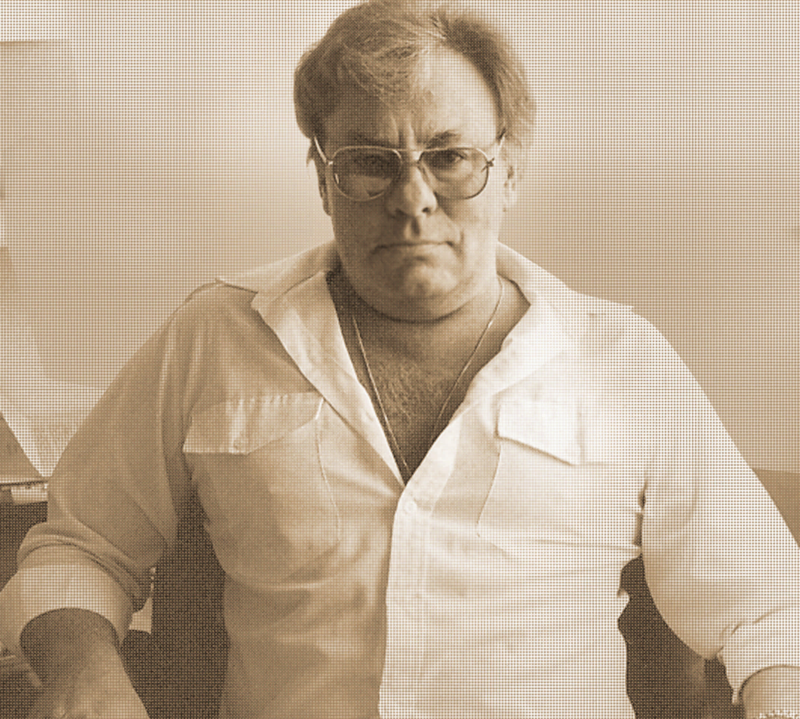 His approach is to repeat tactics he has used before –brutal force tempered with minor concessions. As a sop to the protests, which had become country wide by February, Al-Bashir, who is wanted by the International Criminal Court for crimes against humanity, said on 1st March that he would hand over the leadership of the ruling National Congress Party to its deputy chairman, Ahmed Harun, also wanted by the ICC, until the party’s next general conference. The inference is that he will not run in the 2020 elections – although he has not said as much. The Sudanese people have been here before with Al-Bashir. He had made a similar pledge when confronted by widespread protests in 2013 and promised not to run in the 2015 elections. He reneged on that pledge once things had calmed down. But if Al-Bashir was reaching down into his memory bank to replicate his earlier stratagem, his opponents had even better grasp of history. They knew that two of the country’s most entrenched autocrats, General Ibrahim Abboud and Jaafar Numeiri had been deposed by similar widespread public protests by a similar coalition of professionals and lay people. Abboud was forced to cede power during the October Revolution of 1964 and his eventual successor, Numeiri was similarly compelled to surrender to public pressure in 1985. 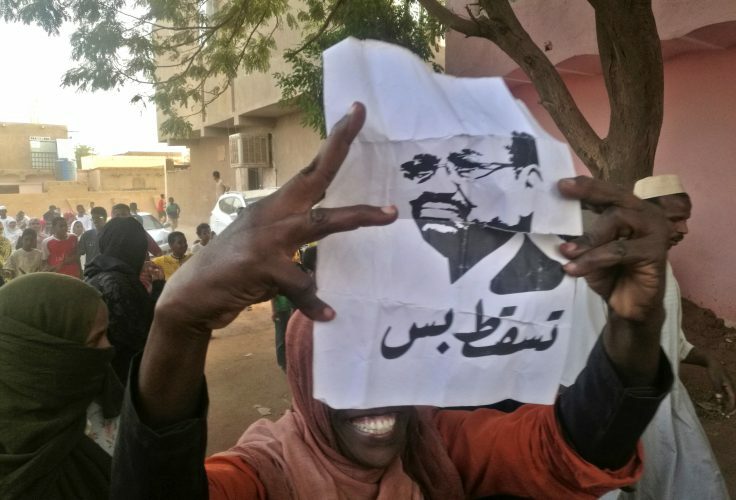 Although many of the protestors were too young to have known any other leader apart from Al Bashir – as the average age in Sudan is around 20 – their collective memory served to inspire them. The leaders of the protests, including the National Professionals Association whose members include doctors, engineers and teachers dismissed Al Bashir’s gesture out of hand and said they would not fall for the same ruse twice. They want him to step down immediately and the appointment a transitional authority to oversee fair elections. They also want the State of Emergency lifted. Although the current wave of protests was sparked off when subsidies on bread – a staple – were removed, public resentment over Al-Bashir’s administration run long and deep. Runaway inflation, shortages of basic food items, a decaying infrastructure adding to day-to-day costs and a lack of foreign exchange to import essentials eventually pushed the hard pressed Sudanese population over the brink. The spark that lit the explosion came in December in the town of Atbara following the withdrawal of bread subsidies and the price of this staple went through the roof. As citizens almost spontaneously came together to protest against the withdrawal of subsidies, Al Bashir’s response was to send in his paratroopers to crack skulls, break legs and jail anybody they could lay their hands on. However, instead of capitulating to brute force, the protests intensified. Hundreds of thousands from other towns and provinces joined in and the waves of protestors turned into a raging tempest. Opposition parties threw their weight behind the professionals, students and lay people. Some of the strongest protests took place in Al Bashir’s strongholds in the more prosperous districts of the capital Khartoum. As the rivers of protestors turned into a flood of fury swirling around the President, Al Bashir threatened more repression. He announced a year-long State of Emergency on February 22. In Sudan, this was a code for more intense public repression. It extended the powers of the police and paramilitary to crack down on public gatherings and detain protestors. Clearly, Al Bashir, a military man through and through, felt what he needed was a bigger hammer with which to smash the resistance of the people. This was a tactic he had used before, notably in 2012 when the economy had gone into a tailspin following the loss of oil revenues from South Sudan, sparking waves of protests. Reportedly, thousands were detained and beatings were both savage and random. But this time, the protests, the longest sustained act of defiance during his period in office, showed no signs of weakening in the face of the increased threats. Al Bashir was also facing a threat on another front. It was also becoming increasingly clear that he was haemorrhaging support from within his administration, including from some of his key Ministers. As the circle of those on the receiving end of state brutality became wider and wider, it encompassed a larger radius of classes and affiliations. 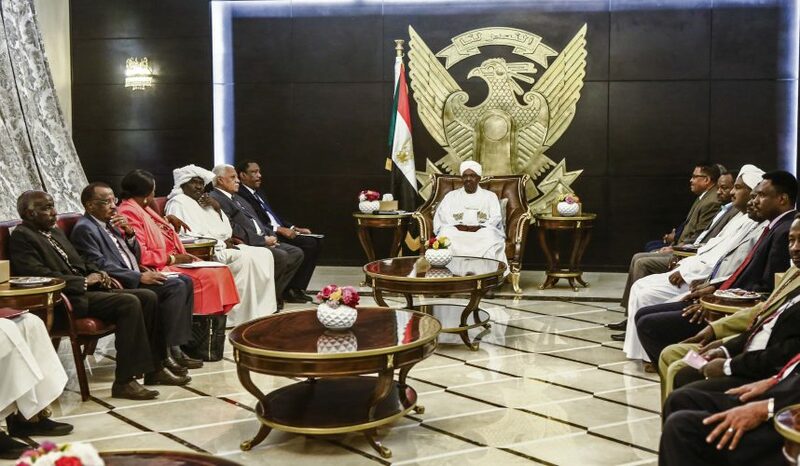 Given Sudanese society’s extended network of clans, families, friends and associates, many in government felt they could not sit back silent while those with whom they shared relationships were being subjected to the tender mercies of the state’s iron fist. To forestall mutiny within his own ranks, on the very next day after declaring the State of Emergency, Al Bashir dissolved the Federal and Provincial governments, sacked the cabinent and replaced all state governors with military officials, once again placing more faith in the power of the gun rather than the will of the people. He also made significant changes to the top brass in his administration. He dismissed Bakri Hassan Saleh, who had been instrumental in the coup in 1989 that brought Al Bashir to power, from his post as Prime Minister and First Vice-President. He replaced him with Lt. Gen. Ahmed Awad Ibn Auf, formerly Governor of Gezira State, as caretaker Prime Minister. He promoted Defence Minister Awad Mohamed Ahmed Ibn Auf to the post of First Vice-President while allowing him to retain his Defence portfolio. These moves were clearly designed to underline that Sudan is still essentially under military diktat, making a mockery of the widely-promoted notion that, with elections, the country had transformed into a proper civilian democracy. To soften the blow of the state of emergency and in a forlorn attempt to maintain the fiction of democracy, Al Bashir went on television to offer an olive branch to his opponents and asked them to engage in a “path of national reconciliation”. He also appealed directly to the public, saying “the demands of our people for better living conditions are lawful”. He asked parliament to postpone constitutional amendments that would have allowed to stand for another term of office. Sceptics noted that he had not ruled himself out of contention for the 2020 elections, merely asked parliament to postpose the amendments. He also promised to form a government “of technocrats” to solve the country’s entrenched economic problems. 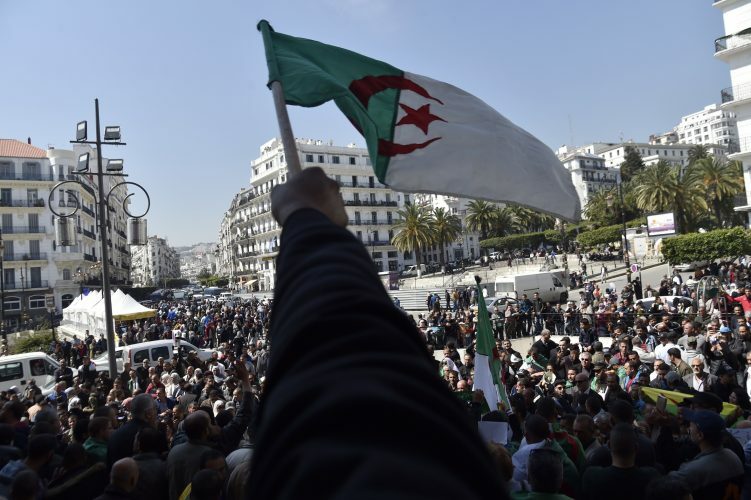 Interestingly, further north, beleaguered Algerian President Abdelaziz Bouteflika also tinkered around with his cabinet and promised to appoint a “government of technocrats”. But, neither in Algeria nor in Sudan were these ‘concessions’ sufficient to satisfy the protestors. The reference to ‘technocrats’ is in itself an interesting issue. It is an admission that the composition of the government thus far has been made up of political appointees who buttress the power of the Presidency rather than individuals qualified to carry out their Ministerial duties. In short, it is an admission that appointments to high office are not made on merit but as a reward for loyalty and support to the Presidency or as a bribe to induce that loyalty. Consequently, the office bearers have little appetite for the often relentless demands of their office and know that as long as they show fealty to the leader, they have little else to do. It is also an open invitation for them to use the powers and privileges of their office to accumulate personal wealth. It also means that they feel free to stuff their Ministries with their own supporters, friends and family – which they almost always invariably do. These in turn take advantage of their positions and authority to fleece the economy. So an ever increasing cycle of corruption is set into motion. And, since everybody in the chain owes their positions to the President and his inner core, they exhibit fawning deference to the leader on the one hand and a sneering arrogance towards everybody outside their circle on the other. Inevitably, they create a bubble around themselves, became preoccupied by their own internal rivalries and try to outdo each other in their show of loyalty and fealty to the leader, lest they lose favour and are cast out of the charmed circle and everything it holds. To criticise the leader or anyone in the upper echelons is unthinkable. The needs of the people, for which they ostensibly should be responsible, disappears almost totally. This is exactly the classic situation we find when we analyse the political and economic structures of autocratic regimes that perpetuate themselves in power, nowadays through sham elections in which they ‘win’ 80-90% of the votes. 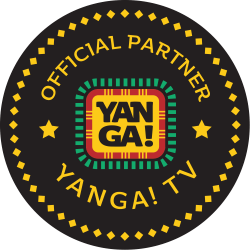 The ruling party, whose members share some of the crumbs from the high table, extend the system throughout the country and by a system of rewards and punishments, ensure that opposition is contained. Meanwhile, the state structures decay and morph into labyrinths of corruption whose roots reach further down the social system and seem to affect everybody and everything. The consequences are always glaring. Totally inefficient state organisations, debilitated public infrastructure, inadequate and incompetent public services, high levels of domestic and foreign debt and almost always, a moribund economy. The other characteristics that inevitably flow from authoritarianism is the lack of honest debate, discouragement of public discussion and an intrinsic fear of any form of criticism. This takes the form of muzzling the press, including banning some newspapers and jailing journalists, restricting or banning social media and the Internet, harassing, jailing, beating and torturing opponents, planting informers and secret police among social organisation, detaining and jailing without charge an increasing number of people, banning public gatherings, imposing harsher punishments, such as flogging in the case of Sudan, for minor infringements and clamping down severely on any show of public dissent. A steep increase in the number and powers of security personal, both police and paramilitary is yet another observable phenomenon. It is being estimated that some 80% of Sudan’s national income goes to the military which changes its character from being defenders of the people to oppressors of the people. Another equally palpable characteristic is the two nation society – extreme wealth for those within the charmed circle and extreme poverty for the majority. 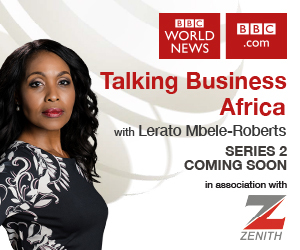 The middle classes composed mainly of the better educated professionals, business people, civil servants and the informal sector find themselves caught between the two. It is the middle classes that tend to keep such countries together, often against the odds. When the situation becomes untenable, it is the middle classes that try to bring some sanity to the conduct of government, usually by pointing out the obvious shortfalls. But by its very nature, an authoritarian regime will brook no dissent or criticism, direct or implied. It is only when the people are pushed to the wall that they seem to lose their fear of the instruments of repression and organise demonstrations and protests. The response is also always usually typical – the deployment of more force, harsher punishments, mass arrests, torture and the creation of a climate of fear. This is the situation in Sudan and to a lesser degree, in Algeria at present. As we have seen events unfolding, repression can last only as long as the state can induce fear. Beyond a certain point, people lose their fear and turn on the state. They find strength in numbers and inspiration in their righteous cause. They remind each other that their country is not the private property of any group or individual and set out to claim their birth right. They refuse to be beaten or terrorised or blackmailed. They march. So far, the protests in Sudan and Algeria have been peaceful despite the provocation. The people have made legitimate demands. They have made it clear that cosmetic changes of personal or empty pledges will not be acceptable. They want the whole corrupt systems thrown out and fresh start in which they will play a central role. They have been peaceful and patient and taken the blows. It will serve both Al Bashir and Bouteflika well to remember history and read up on what happens when peaceful protests turn violent. As we were going to press, the situation was still fluid in both Sudan and Algeria. Both Al Bashir and Bouteflika are at the top of pyramids with substantial bases. The longer a regime stays in power, the more entrenched it becomes and the more it works to entrench itself. Will removing the head of the pyramid really unravel the superstructure? Clearly, neither of the protests movements in the two countries think so. They want the whole machinery dismantled – especially as they believe that their problems have been caused mainly by the workings of that machinery. What many African leaders have failed to realise is that the desire to remain in office is no stronger in Africans than anybody else. That is why the more experienced countries have devised term limits. If nothing else, these provide a get-out mechanism for the governments that find themselves facing major issues – as all governments inevitably do at some point. It also means that the electorate can find the patience to tolerate even a poor administration because it is confident that at the end of the term, the government will leave office and a new start can be had by all. By removing this option, governments invite public outrage and opprobrium as we can see in Sudan and Algeria now and as we have seen elsewhere in Africa and the developing world. Africa’s dinosaur leaders have a choice – leave on their own volition or be ousted. No regime, however repressive, has been able to withstand sustained public antipathy.